This is Harley. He actually broke our automatic trashcan soon after we got it by knocking it over. As you can see, he is not sorry! Maybe Harley is helping with the recycling! They leave for the day. Emptying the garbage can daily is rather wasteful of trashbags unless one lives in a house with a large trashcan outside kept for curbside trash pickup. If one lives in an apartment or condo community or the like emptying the trash daily means a daily trip to the dumpster as well. 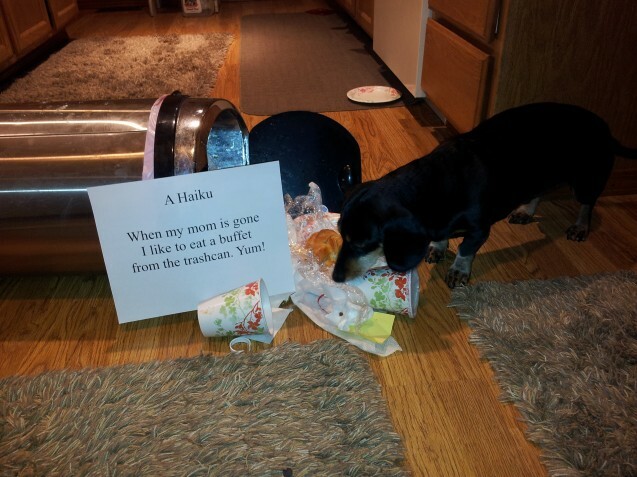 Perhaps, instead, the solution may be weighting down the bottom of the trash can so it isn’t so easy to knock over. But speaking as the mom of a Rat Terrier I’ve been awfully surprised at what my 12 lb baby is able to take down…. Isn’t that why trash cans were invented? BOL! The retired English teacher in me loves this! 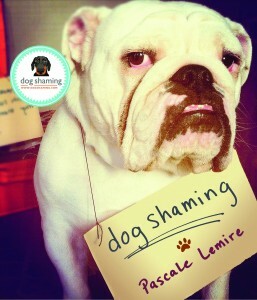 Nothing like a poetic shamed dog!